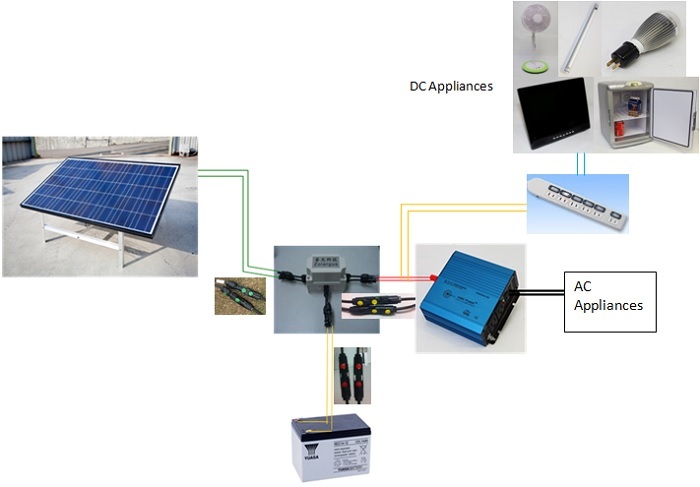 Without inverter, users can use DC 12V appliances. 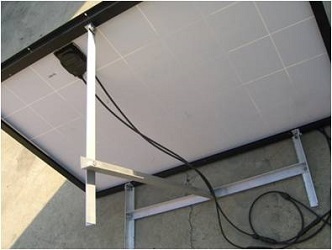 Like IKEA products, very easy to install. Just connect yellow-to-yellow and red-to-red and green-to-green, then the system is done. Very simple. 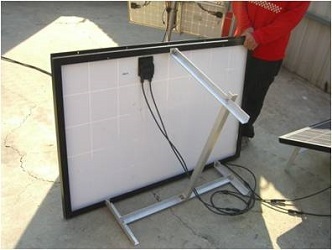 It contains a set of easy stand, like IKEA products, very easy to install and setup. 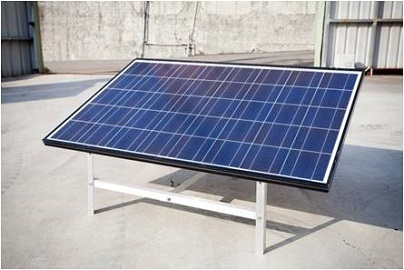 This system targets to reduce customer's cost with a high efficiect power supply system to staisfy some area without on-grid power.